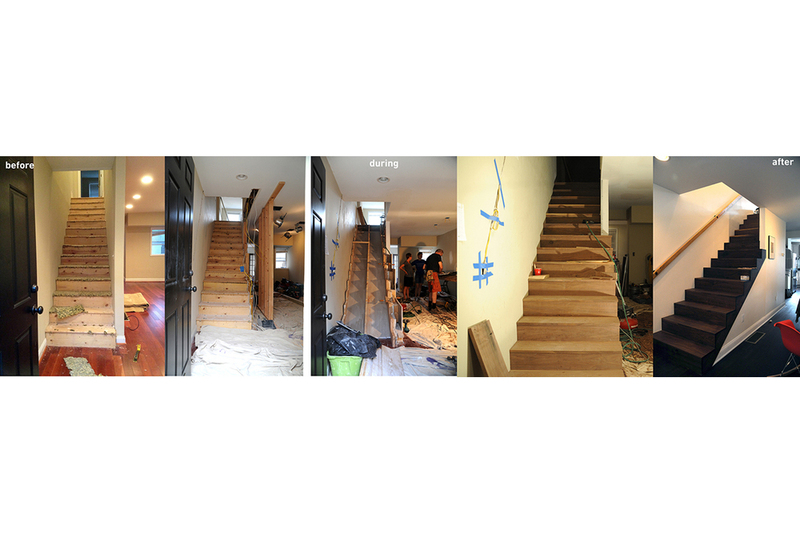 This project entailed the interior renovation of a Philadelphia Rowhouse in the Pennsport neighborhood. Designed in collaboration with Darby Kline, the renovation consisted of selective interventions that exposed interior brick walls and opened up spaces to create more flexible living spaces. Every surface was renewed. Existing wood floors were hand dyed, black walnut floors were installed on the second, a window was placed into the stair wall to admit daylight into the center of the house. By far the most intensive project was rebuilding the existing stair. We removed a partition that separated it from the living space, installed new stringers, and clad the stair in flush black walnut treads and risers. 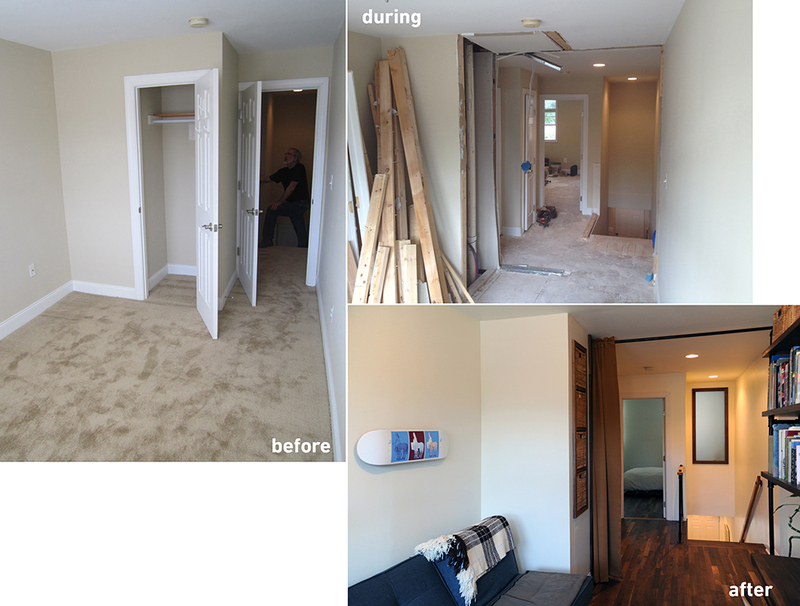 Other projects included updating the lighting, installing cabinetry, and a custom library/office wall. We could not have completed the project without the faithful help of dear friends and family. We are forever indebt to their willingness to lend a hand!